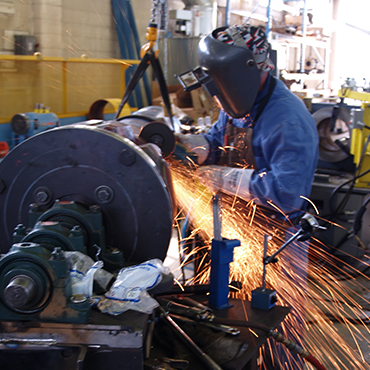 We offer custom manufacturing programs tailored to your specific needs. All your driveshafts will be repaired with OEM components and dynamically balanced to meet or exceed OEM specifications. We use genuine parts and manufacturing solutions from manufacturers such as GWB, Voith, and Elbe. If the application requires a wing-bearing or hybrid style, we also provide Italcardano, Meritor, Twin Disc, as well as Rockford Powertrain (Mechanics and Borg Warner style) driveline components. Universal driveshaft manufacturing to precise design specifications and operating characteristics is an integral part of our service. 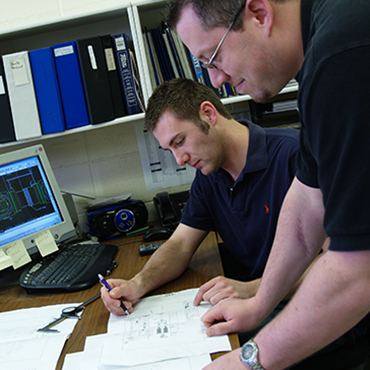 Our staff of engineers and technicians have years of experience with shafts and components for many unique applications. Our engineering staff and technicians can design and manufacture the precise universal joint driveshaft you require. Whether it is a closed yoke or a split bearing cap design, we will deliver the exact shaft system needed. With design software, our staff is able to analyse the geometry, alignments, clearance and feasibility of various driveline and powertrain configurations before specifying the final components. We help our clients choose their power transmission system including driveline, gearbox, power take-off and pump drive. If needed, we will also custom design and manufacture new original driveshafts to meet the size, speed and power requirements of our OEM and commercial clients. Our in-house manufacturing capabilities set us apart from the marketplace and allow us to supply driveshafts for clients in the oilfield, forestry, pulp & paper, agricultural and other industries. 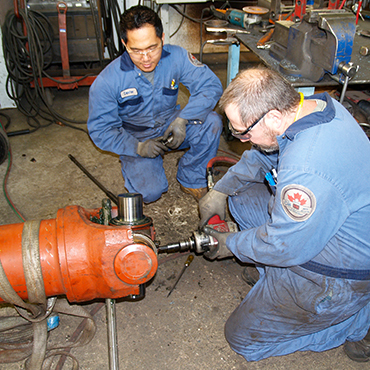 Our resources are ready to accommodate any type of driveshaft repair required, and our factory trained technicians can work with you to diagnose driveline concerns via telephone consultation or through comprehensive on-site visits. Pat’s Driveline has conducted numerous field visits and provided technical design assistance for pulp & paper, wastewater, shredding & recycling, sawmill, ski lift and oil field fracking industries.